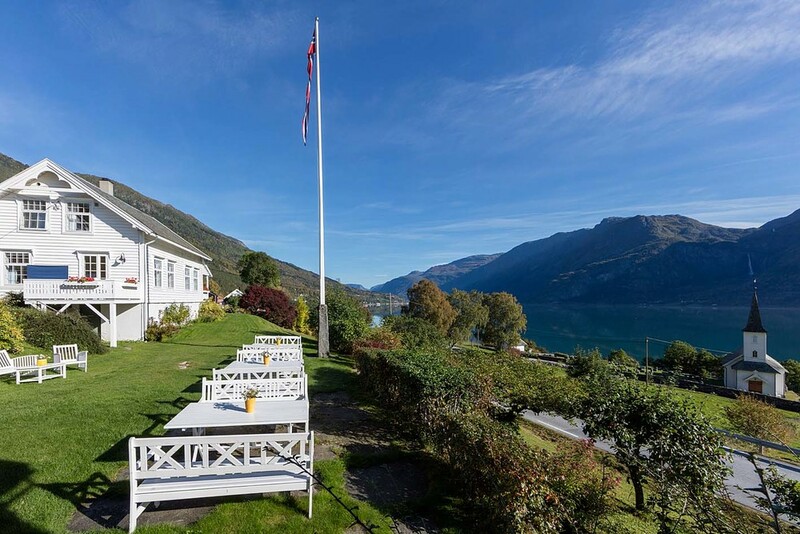 Nes Gard is located in the innermost part of Sognefjord, the longest fjord of the world. The neighborhood of three National parks gives great opportunities of scenic hiking and walking. By car you may visit Sognefjell mountain pass, the highest pass of Norway or explore the spectacular Nærøyfjord. In Jostedal you can experience the glacier with a guide. 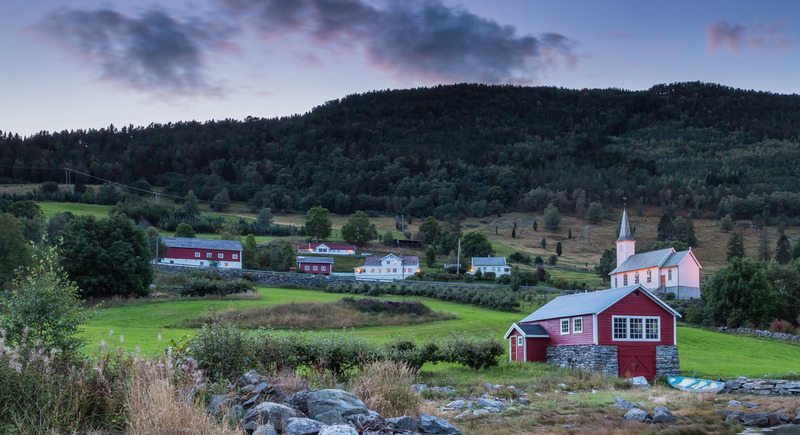 Among historical attractions we recommend the UNESCO listed Urnes Stave Church. In our guesthouse you will stay in charming buildings with traditional architecture and interior, combining atmosphere with modern facilities. We offer a friendly and personalized service, breakfast and three-course dinner are served every day. 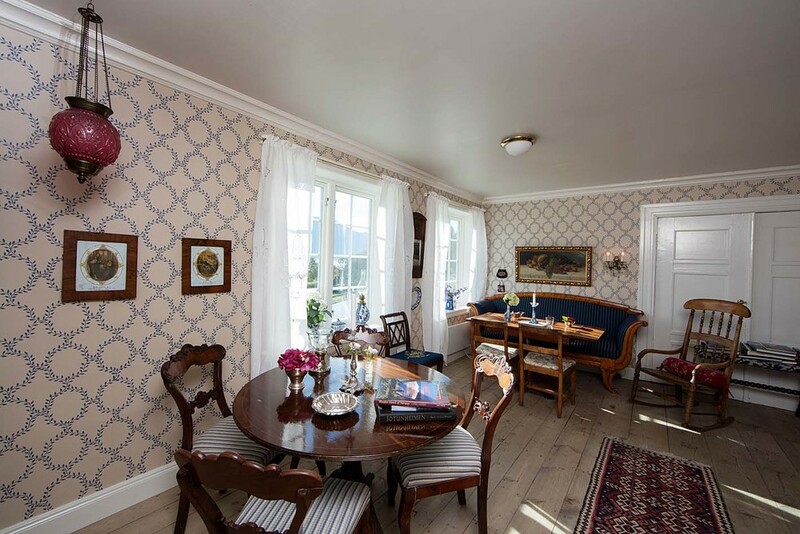 Nes Gard has thirteen double rooms and two family units, all the rooms are individually decorated and most of them have view over the Fjord. After a long day and great experiences you are welcome to relax in the garden or in one of our cozy living rooms. You may also relax on our pier or go swimming in the fjord while enjoying the view of the Feigumfossen waterfall, one of the highest waterfalls of Scandinavia. On site we offer bicycles, rowing boats and kayaks for rent. You are welcome to visit our hut Navarsete, where the farmer used to stay with the cattle during the summer. After a short drive along a winding road into Breheimen national park, there is a 30 min. walk to the hut, through a green and beautiful valley. This trip is a must for our guests!